Note: You must have completed the Dust Brigade Quest as well as the Deus Ex Machina quest before you can start this quest. This quest is short and easy. It is a continuation to the Dust Brigade -- Peacekeeeper Constad quest. 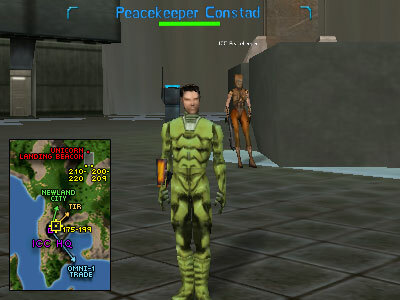 Unless you are already continuing on immediately from the Peacekeeper Constad quest, to start this one you will have to visit Peacekeeper Constad in ICC again. He's busy with all the information you provided him with, so he will send you to a coworker of his, Peacekeeper Heather Coursey. She's a new arrival to Rubi-Ka and is currently checking out the sights in Newland. 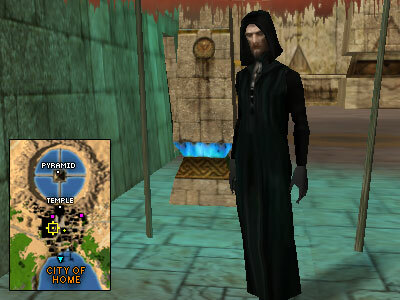 First off, you should identify yourself and provide Peacekeeper Coursey with information stored on the ICC Secure Datacard, provided to you by Constad. After speaking with her you will need to head back to Peacekeeper Constad to update him on the hostile situation. He'll have some new information on Dust Brigade activity for you. As his attention is now occupied by Peacekeeper Coursey, you will be sent to meet an old contact in Broken Shores, Priest Fontain. Priest Fontain will provide you with his view on the current situation. 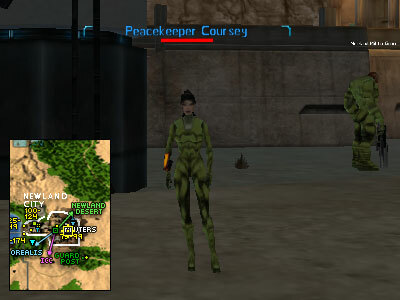 As of now though, you should return to Peacekeeeper Constad, who will send you to Peacekeeper Coursey again. By now you should know better than to trust his word that she'll treat you like a human being. Coursey has a Zero-Point Transmission Relay Scoop and needs you to go and tag the Communications Relay Towers from the previous quest. So your task is the same. Travel to the towers, open conversation with them, drop the Zero-Point Transmission Relay Scoop in to the trade window that opens, make sure your mission has updated and then go to the next location. 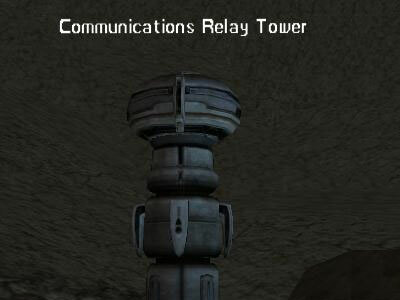 All the Communications Relay Towers are also marked on the Atlas of Rubi Ka map. Once you have completed the tagging, return to Coursey. She will have bad news for you. The origin of the communications has been located deep within the Outzones. As a newcomer, this is out of her hands, so she sends you to Constad with an ICC Secure Datacard. He'll provide you with even more information and plans how to deal with this problem. Formatting and changes made by Ukblizzard.